without a DID expert in your area? Being DID can be painful. Years of trauma hurt then, and probably still hurts now. On top of all the hurt, your life may be filled with layers of problems and difficulties that you don’t know how to solve. You might not know how to meet or manage your system. Without a doubt, the whole healing process for DID can feel extremely confusing, and upsetting, and overwhelming, especially without sufficient guidance. Would you like some answers from a DID specialist ? Do you prefer writing emails instead of talking on the phone? Are you too scared to speak on the phone, but you’d love to get the opinion of a DID expert? If you like to write more than you like to speak, I have fantastic news for you. You know, back when I started this blog in 2008, I wondered if anyone would ever find it. But you have found it! In fact, thousands of DID survivors and their loved ones and their therapists have found it. The response has been truly amazing. Thank you! Having a busy blog means that I have the privilege of receiving oodles of online communication from the readers here at this blog, especially the dissociative readers. I welcome that, and it is good to hear from you. I truly am very happy to hear from anyone who has DID. Hundreds of emails come through this site — many with kind and appreciative comments, and many with really big and important questions. Like really big and important questions. You might have sent in a few of those Big Question Emails yourself. I understand why we get so much email here. 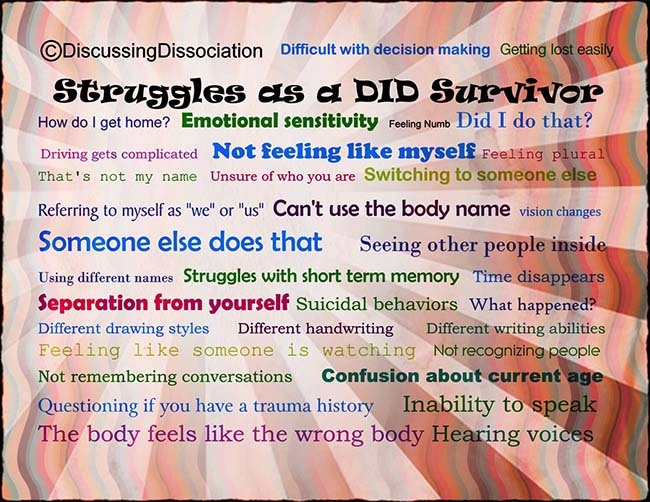 Discussing Dissociation is a specialized resource, and experienced DID specialists are hard to find. 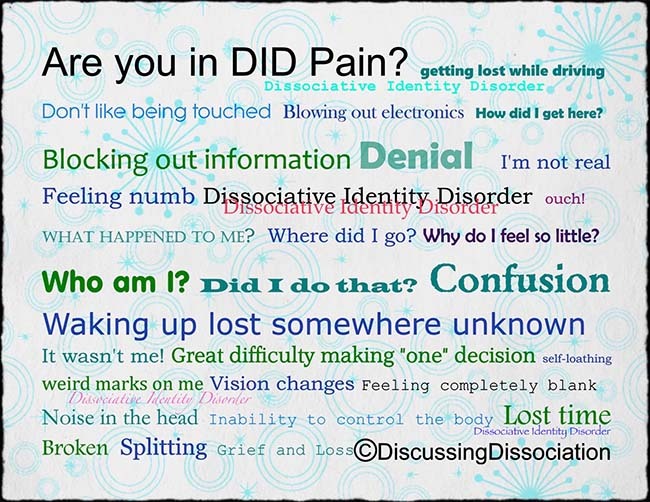 You are absolutely right to check with someone who truly understands the complications of DID. It most certainly makes sense to have more validation or guidance about what you’re going through. You’re taking an active stance in your healing, you’re learning more about your system, you’re learning more about DID, and I think that’s wonderful! Unfortunately, emailing a blog comment will not get your big and important questions answered very quickly. There is a very loooong que waiting for responses from blog comments. Again, this is great news — I’m thrilled to hear from you — but waiting a long time for a response is not helpful if you need an expert answer sooner than later. I completely agree, that at some point in time or another, most DID survivors need the guidance and understanding that only comes from a DID specialist. You need some answers from someone who is an expert in DID. And DID experts are hard to find. No doubt about that. You’ve been fortunate to find a site with not one, but TWO DID specialists. How cool is that? It’s like a double win ! And now that you know you’re in the right place, let’s talk about some of the hard stuff. Have you ever suffered with any of these situations? Have you ever had too much going on in your head, and needed to put all the words out in writing? Have you felt alone and wished someone could see and understand exactly what you’re going through? Have you ever experienced a lack of privacy in your home, so that speaking out loud feels too risky? Do you ever get tangled up in your thoughts and words when you speak out loud, and does writing help you feel more focused? Is there too much fighting or conflict or fear or confusion or busy-ness within your DID system that the people who need to talk can’t get enough time or clarity to talk out loud? Do you have parts of your system who are mute or unable to speak out loud? Is talking out loud with the voice still against the rules for certain people in your system? Have you or your system ever needed a little extra encouragement, or healthy support to help you manage the troubles you’re experiencing? Have you been too afraid or too insecure to speak to someone, but you still desperately need a little bit of help? Have you ever forgotten what was said in that really important conversation with your therapist? Or worse yet, has your amnesia been so intense that you didn’t even know there was a conversation? Have you ever felt like you wasted money on a therapy session that you couldn’t remember? Have you wished you could remember what your therapist said, even if you were present in the session? Have any of your “night time parts” had questions or concerns, but not enough safety or freedom to speak out loud with a daytime therapist during the bright light of day? Do you need answers for some complicated questions about DID and your local resources can’t answer your questions? DID trauma survivors often have all those struggles. I’ve had online websites for DID since 2003 — I’ve certainly heard and seen these concerns from dissociative trauma survivors hundreds and hundreds of times. I’ve heard the frustration of the quiet ones in the system who get left behind or ignored by the more vocal ones in the system, and who feel left out, never really getting their turn because they can’t speak up. I’ve watched survivors struggle to find the right words to explain how they feel. I’ve waited and waited and waited for certain insiders to gather the courage to speak, only to be shut down by someone else louder from deeper inside. Some of these insiders have to wait, and wait, and wait, and wait some more for their turn to talk. There are often too many people who want to talk, and just not nearly enough time. I’ve seen different parts truly agonise over breaking the “no talk” rules. I’ve seen DID survivors struggle with floods of information, and writing helped to slow down the chaos. Even in regular face-to-face sessions, there are situations where writing on paper is the only way to communicate. What if talking isn’t possible for you right now? Sometimes, talking isn’t the most reliable option for addressing problems. Of course, talking about your problems is helpful, but sometimes, using your voice feels just too big. Or too scary. Or too threatening. Or too real. Sometimes people need to write. I’ve seen writing become an amazing resource to help move past an impasse in therapy sessions. And with that knowledge, I have to assume, and believe, that writing can have the same helpful magic with online therapeutic resources — as in, there are times when writing an email is more effective than speaking on the phone. Now you can have the opportunity to email a DID specialist and get a professional response from someone who truly knows and understands trauma, dissociation, and DID. You and / or your DID system insiders can write a detailed email, and get an equally detailed response from a DID specialist. You won’t have to forget what your DID specialist says to you or to your system. Your consultation reply will be right there for you read as many times as you need to read it. That d’amnesia won’t get to sneak your info away this time! Why would You want an Email Consultation? Since you’re here on this page, you’ve probably already been reading this blog, and hopefully it’s been very helpful for you. 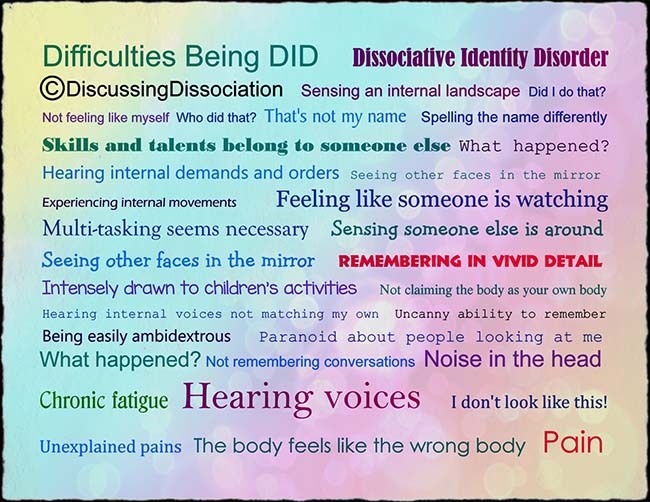 Discussing Dissociation is a big blog — hundreds of articles, thousands of comments by other readers, and tons of information about Dissociative Disorders and related topics. Even with all that great information, you might still need to personalize your search for answers. You might still have questions that pertain exactly and specifically to you and your system. You might not know how to do what I’m talking about in all those blog articles. You might need additional explanations. And maybe you’ve been searching and waiting and searching and waiting for answers for a very very very very long time. Would you like to get some expert DID answers before next week? You already know me, Kathy. My writing is all over this blog. 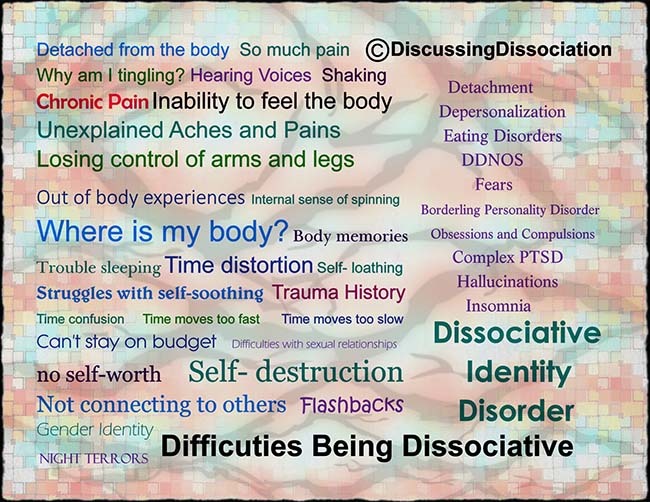 Discussing Dissociation has been my blog since 2008, and you can learn much about me by reading what I’ve written. I ask you questions. You ask me questions in return. It’s a great exchange. Except that it’s taking me longer and longer to be able to write you back. As I mentioned before, I am absolutely and thoroughly impressed by the amount of response received at this blog — it’s incredible. In fact, it’s gotten so busy around here, that I need help responding to everyone who needs help with their DID system. That’s okay because I have a very very good recommendation. 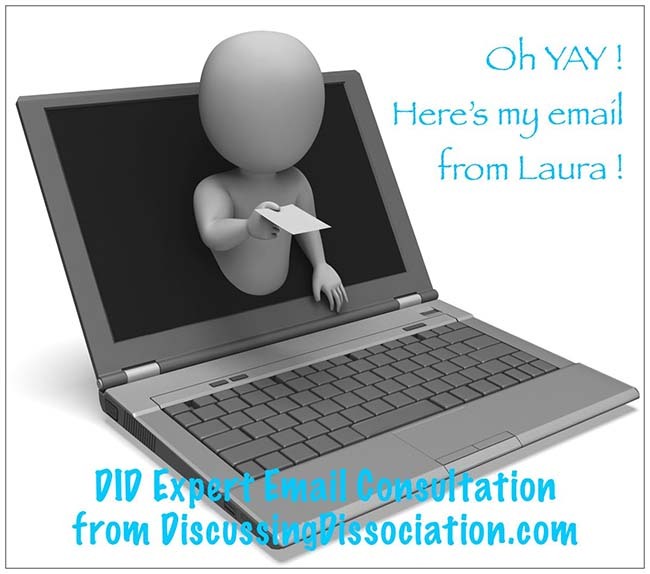 I’m thrilled to bits to have the opportunity to bring Laura in as Discussing Dissociation’s First Ever DID Expert Email Consultant. I trust Laura, and I’ve known her for a very long time. I know she knows her stuff, and I know she understands DID very well. I think we’ve spent at least a zillion hours talking about DID. 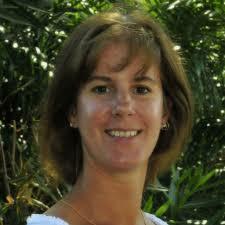 Like me, Laura is a DID Systems Specialist and she has many years experience working with Dissociative Systems. Laura may not know all the answers, but she can certainly give you a very educated and expert guess. Plus, she can always run a question past me, if necessary. However, Laura’s understanding of DID is by far above average. There are not many genuine DID experts available, and I promise you, we are most fortunate to have her here with us at Discussing Dissociation. During your DID Systems Email Consultation, Laura will help you figure out some of the hard stuff. She will have some ideas about things to try that specifically match the situation you present to her. And she’ll be able to do it quickly —- within just a few days. You won’t have to wait and wait and wait anymore. You’ll know that you have a guaranteed response coming your way soon. You won’t have to explain or justify your dissociation to Laura. Laura will understand right from the beginning. She completely agrees that DID is a “real thing”, and has no doubts whatsoever that it exists. Like me, Laura will “get it” because she probably already knows and understands what you are talking about. Like me, Laura knows there is hope for DID survivors. She knows you can feel better than you do today. She knows your system can learn to cooperate together. She knows your system can function as a friendly team. She knows healing is possible. Laura understands that it is not your fault you were hurt and shattered. She knows it is not your fault that you are dissociative and split. She knows that you do not have to live your whole life suffering. She knows that your life can become easier, less painful, and much more fun. I have an idea — how about hearing from Laura herself. In my view, healing from dissociation is not just about remembering all the bad memories and feeling all the pain. It is also about everyone in the system coming together as a unit, rather than just a bunch of individual people doing their own thing and sometimes working at cross-purposes to each other. The goal is cooperation. Collaboration. Developing a sense of community between everyone. While everyone in the system is an individual, everyone is also part of the group. The system doesn’t belong to any one person or one faction (even if they think it does). Everyone is important and everyone must be included or taken into account. Each person has their own experiences and problems to deal with, but each person should be able to look to the group for strength or ideas or support or help, and the group should be willing to do what they can, because nobody’s problem is ONLY their problem. An issue for one person affects the whole group. Feelings, memories, influence (both direct and covert), programming, fears and hopes and desires – if one person in the system is affected, then others will also be affected. The problem affects all of you, and the solution must include all of you too. You have survived this long because you are part a team, and every single member of your system has played a role in your survival. You already depend on each other every day! Every blank in your memory or hole in your experience can be filled by someone else in your system who experienced and remembers what happened there. What one person disowns, someone else takes for them. You have all helped each other get this far, but you have done it in isolation. Switching happens by reflex or because you can’t help it. It feels out of control and chaotic and messy, and sometimes the coping mechanisms developed when you were just trying to survive are not the best ways of handling things. Of course you want to change that, but if you approach each other with an attitude of “what you’re doing is bad,” you probably won’t get very far. That’s a good way to get everyone feeling defensive and angry right from the start. You can’t make someone else change. That is true of the outside world, and it is equally true of the inside world. On the other hand, if everyone inside gets to know each other independent of the desire to change or control each other, it often happens that changes occur naturally. This is why I encourage talking to each other internally, getting to know each other not just as problems to be solved but as people. I believe that collaboration is the most effective approach to healing. It encourages reassociation, and reassociation (rather than integration) is the opposite of dissociation. Integration is only a goal if that’s something you actually want – and even then, I’m not sure it’s completely possible. You may never be a single consciousness with no internal system whatsoever, but you can be a single unified group working together to create the best possible life, and in the end, that is really no different from what anyone else is doing. 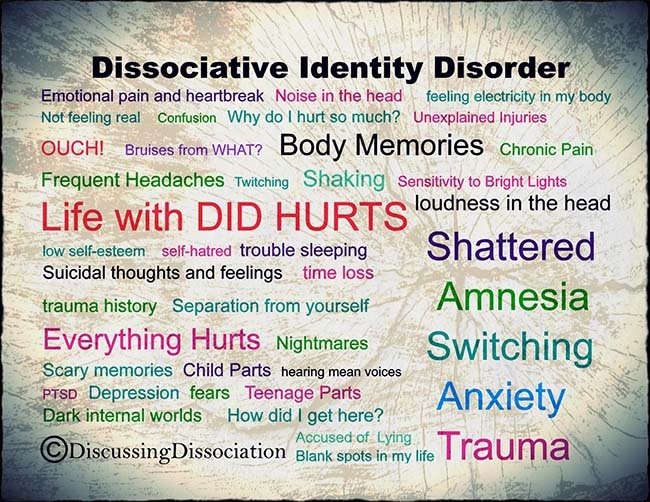 To read more about my thoughts on dissociation, check out my blog post here. • You will consult with a licensed mental health professional who understands a great deal about dissociative systems, and you will receive your detailed, personalized response within just a few days. 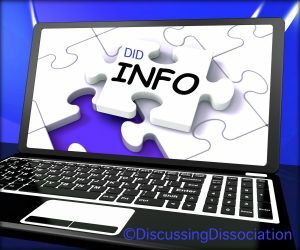 • You can learn how to apply what you are learning in the Discussing Dissociation blog articles. • You will receive guidance on how to improve your system communication even if you feel stuck, isolated, or separated from your insiders. • You can get information about working around the blocks and walls you feel inside, learning new skills for your system. • You will learn new approaches to working with your system instead of wasting more time doing the same thing with minimal results. • You will get reassurance or a second opinion about whether or not you are approaching your system issues in an effective way. • You can get answers quickly to a private question that you do not want to discuss in the public blog comment areas. • You can get some expert assistance on how to work with particularly difficult insiders who may be creating trouble in your everyday life. • You and your system peeps can get to know if Kathy and Laura are genuine, real people. 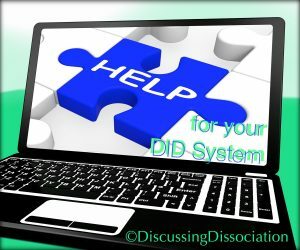 • You and your system can learn more about the concepts we teach at Discussing Dissociation by having a legitimate, tangible connection and relationship with a DID expert. Laura will write directly to you and your people while explaining helpful ways of accomplishing system communication and cooperation, etc. • You and your system will be able to apply more of what you are learning about DID system work once you have experienced and practiced a tangible demonstration of the internal communication process by relating it to your specific situation. • You and your system will have a DID expert available for you while your regular therapist is away, on vacation, out of town, or unavailable for an uncomfortable amount of time. • Therapists, counselors, or mental health professionals can request consultation and guidance about how to work with dissociative clients. • Spouses or loved ones of dissociative trauma survivors can get much needed support or education about how to manage life with someone who is DID. • You can learn more about DID system work and developing internal communication for any reason not already mentioned. • You will be consulting with an educated, experienced, legitimate LPC Counselor, who is licensed in Florida USA. It is important that you and your system are stable enough, and safe enough, and strong enough to manage an Email Consultation with Laura. Know that she will discuss genuine issues with you. Because Email Consultations are NOT a Crisis Service, you will need to have your own resources, coping skills, and additional support available to you should you feel upset or unsafe or triggered during any part of the Consultation process. Please note: If you are experiencing a life-threatening emergency or acute struggles with self-injury, this Email Consultation option will not allow for a quick enough response to meet your needs adequately. Please call your local therapist or local emergency options for more immediate assistance. Also, if your local therapist is opposed to your having a Consultation with Laura, please resolve that conflict to the best of your ability before scheduling a Consultation via Discussing Dissociation. Your local therapist comes first, and they are your primary contact. Discussing Dissociation is not interested in undermining your therapy process. Laura is coming from the perspective of being a helpful team player, an adjunct DID Systems Specialist, an additional DID Consultation Resource. Laura is certainly not taking over the lead of your therapy process nor is she willing to create friction between you and your regular therapist. Oh! And I promise you, without a doubt, Laura is going to give you some questions to think about. She will challenge you, she will encourage you to work together, and she will ask you to think or talk together as a system. Are you ready to write an email to Laura? Do you have any questions about DID? Do you have any concerns about your internal system? Do you want answers this week, not next year ?!!! Will you discuss your dissociation with Laura? After you make your PayPal payment, you will be able to click through to the Email Consultation Form. With Email Consultations, there is no need to coordinate your time zone with our time zone. You may send in your Email Consultation at any time of day or night, any day of the week. You pick whenever it is easiest for you to write — anytime of the day or night. The important piece to remember is that Laura will write and respond to your email during regular business hours, Monday – Friday, 10am – 4pm, Eastern Standard Time, excluding public holidays. If your email arrives on Friday evening, EST, the earliest time for Laura to see your email is Monday morning, EST, and then Laura will need sufficient writing time to create an excellent response for you. Laura’s window for a 3-5 days response begins on Monday at 10am, EST, unless that Monday is a public holiday. Yes, yes, yes, of course your waiting time will be a little longer if your Consultation arrived over the weekend or during a public holiday. Sorry about that, but Laura will need a day off to practice that good self care we go on and on about around here. But have no fear — Laura will respond! And of course, your patience is appreciated. Please allow extra time to hear from Laura considering the potentially vast time zone differences between you. Your days of the week may not be the same — it all depends on your time zone. Oh, and YES! You and your insiders will be allowed to write, and yes, of course, even your kiddos can say “hi” — if or when you feel safe enough to allow that. Laura will most certainly say “Hi!” back to them. Insiders are definitely welcome to participate. No doubt about that! To see how long these emails can be, click here. All payments will be processed through PayPal, using USD currency (American dollars). All payments will need to be finalized and paid through PayPal before your Consultation will be emailed to you. If you do not yet have a free PayPal account, you can sign up at www.paypal.com. *Please Note: These rates are subject to change. The prices quoted on this page are for the “First-Ever DID Expert Email Consultations!” offer. Select the size of DID Expert Email Consultation you prefer. Click to see the Email Consultation Form. Click Send when you are finished typing. Wait patiently for a few days, with confidence in knowing you will be getting your questions answered soon. Laura will return her DID Expert Email Consultation response to you within 3-5 business days, between Mon-Friday, 10am – 4pm, Eastern Standard Time. What’s up with Word Limits ? Word limits are a necessary limitation, just like office appointments have a time limit. There is always more to be talked about, that’s for sure. Believe me, I understand that. It still needs to come out bit by bit, in safe and manageable amounts. We’ve designed a Consultation Form that allows you to write about a lot of stuff, but not so much that it becomes overwhelming for you or Laura. You might not know how much typing is 300 words or 500 words. You might not know how to compare 500 words from 700 words. We can help you with that. To see an example showing the three different email sizes, please click here. Also, a little character counter will show you how many typing-characters you have left in your email. You can use up every single one of them! And be sure to edit out anything that is an unnecessary use of those valuable little characters. Just like in your therapy sessions, for Laura to give proper attention to the issues you write about, there is only so much that can be addressed in each Email. You probably need to do some system work to see who gets to type and who gets to say what. And just like in therapy, y’all might have to take turns writing to Laura! Please know this — for Laura, writing expert Consultations replies is not a quick or flippant job. Laura will put much time and effort into understanding the depth of your questions and concerns. You will NOT get a five second, copy-pasted, pre-written response. You will get your very own individualized, 100% personalized Consultation addressing in detail the request that YOU sent in. It will be for you, and only for you. No one else will ever get the same reply that you received. Yes, Laura will respond to your system, acknowledging those who write to her. You will immediately recognize her expertise in Dissociative Disorders by the beautiful way she speaks to DID systems. You will get a well thought out reply, packed full of helpful information. Plus, Laura writes really well, but don’t let that fool you. I KNOW every single Consultation she sends out will have taken a few hours of time to compile. Are you ready to write to Laura? Start by picking the Consultation size that feels most comfortable for you and your system. And then, if you need to write more, please feel free to request a another Consultation at a time convenient for you. What’s on the Email Consultation Form ? To help maximize the effectiveness of your preferred word limit, I have designed a Consultation Form with a dozen additional questions. These questions allow you to describe your basic situation and give some history without having to use up your word limit. This extra information gives Laura more context for understanding your questions, and gives you freedom to write about the problems you are experiencing in more depth. These questions are an opportunity to describe your life and to give supporting information of the troubles you are experiencing. They are designed to give Laura a much better picture of you and your current situation. After you request an Email Consultation with Laura, you will get your DID Expert Email Consultation response within a few days. There is no need to travel to an office or leave your home. There is no need to schedule an appointment. You can read your response over and over, instead of forgetting or not hearing what was said. You can read your Consultation immediately from the privacy and safety of your own home. OR you can wait to read your Consultation Reply from the comfort and safety of your therapist’s office. Your therapist is most certainly welcome to read the Consultation you receive. You and any of your insiders can feel heard and understood. You and your DID system will receive some answers, be shown ideas to try, and given new questions to think about. The purpose is about growth and healing for you and your system. You can put Laura’s wisdom into action! 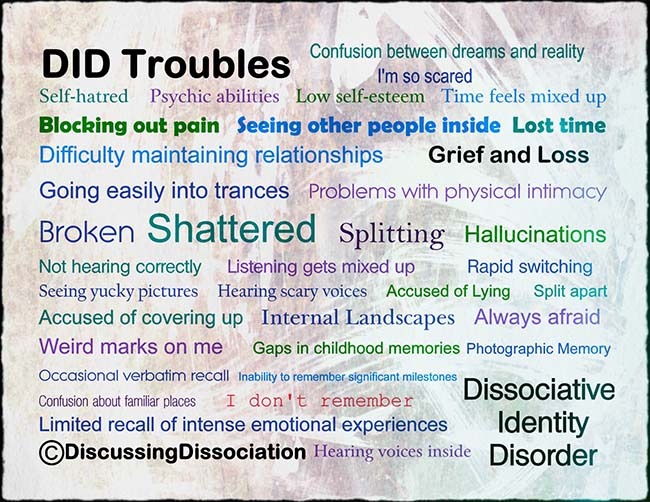 THANK YOU for trusting Discussing Dissociation and for your willingness to have an Email Consultation. Remember,we believe there is hope. Laura and I KNOW you can feel better than you do today. We KNOW your system can learn to cooperate together. We KNOW your system can function as a friendly team. We KNOW healing is possible. We have seen dissociative trauma survivors reach a place of genuine peace and contentment in their lives. They found safety. They stopped the internal fights. They ended their self destructive ways. They began to enjoy living. It became okay to be alive. Life even feels good to them. We both believe that can happen for you too. You CAN make a beautiful life for yourself, even from such rough beginnings. You CAN feel better. You CAN find moments of peace, gentleness, kindness, happiness. You CAN get respite, relief and release from your pain. You do not have to live your whole life suffering. It can get better than this! Yes, Laura and I both know ways to help you and your entire internal system to get there. No doubt. How long are you going to wait before you talk to someone who actually understands DID and believes DID is real? How many wasted hours are you going to spend with doctors and therapists who don’t understand DID? How long are you going to suffer within your system because you don’t know how to build internal communication? How long are you going to be a danger to yourself because you don’t know how to effectively meet the needs of your inside people? How much money are you going to waste on “help” that is not helpful? Will you still be struggling with this problem next month? Next year? Five years from now? How long are you going to live a life filled with pain and trauma instead of finding the goodness in being multiple? Haven’t you suffered alone long enough? Being DID doesn’t have to be a life sentence of pain. Let an experienced, and intelligent DID expert help you find a way out of that darkness. you can have your very own DID expert Email Consultation. You will get some answers to those difficult and painful and complex DID questions that have been nagging at you for soooo long. And…. I dare say, you can learn much, much more from one DID Expert Consultation than you can from hours and hours of non-specialized therapies. Save yourself time, money, and resources by writing with a DID expert today. Laura is looking forward to Discussing your Dissociation with you. PS: It only takes $79 to get started with Expert guidance for your DID system. You could easily spend more than $79 on a night out on the town! Entertainment is great, don’t get me wrong. But creating long-standing peace of mind, system cohesion, and internal communication is priceless. These DID life-skills are crucial! Don’t ever ever underestimate the importance of a beautiful life, inside and out. Your healing matters — for you and for all your system people. You know I know that your inside people have already survived the worst horrors in the world. Don’t you think they deserve the best possible help available? !